New York State governor Eliot “Phineas Taylor” Spitzer must believe there are 19,254,630 of them. To pay for his initiatives, Spitzer said, “now is the time to rein in spending.” The current budget of the third-most- populous state is $113 billion. Spitzer proposed more funding for the state’s Aid and Incentives to Municipalities program. Infrastructure projects he supported included replacement of the Peace Bridge between Buffalo, New York, and Fort Erie, Ontario, and completion of planning for replacement of the Tappan Zee Bridge over the Hudson River between Westchester and Rockland counties. 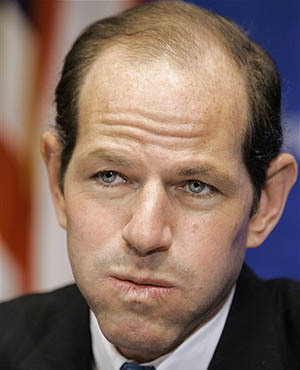 Some of Spitzer’s plans actually make sense, like eliminating most of New York State some 700 authorities. If Spitzer were serious about reducing state spending, he needs to think of ways not to spend money and avoid his proposed massive pork projects.